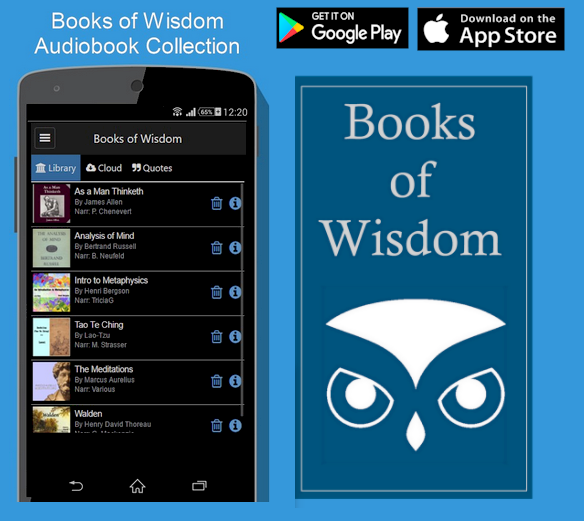 The app contains some of the best audiobooks on Stoicsim and Taoism. Collection of Audiobooks from some of the greatest thinkers. * As a Man Thinketh by James Allen: Allen's books illustrate the use of the power of thought to increase personal capabilities. Although he never achieved great fame or wealth, his works continue to influence people around the world, including the New Thought movement. * The Enchiridion or The Handbook of Epictetus, By Epictetus: Although the content is similar to the Discourses of Epictetus, it is not a summary of the Discourses but rather a compilation of practical precepts. * Analysis of Mind by Bertrand Russell: Philosopher, mathematician and social critic, Bertrand Russell was awarded the Nobel Prize for Literature in 1950. In The Analysis of Mind, one of his most influential and exciting books, Russell presents an intriguing reconciliation of the materialism of psychology with the antimaterialism of physics. * De Brevitate Vitae (frequently referred to as On the Shortness of Life in English) by Seneca is a moral essay written by Seneca the Younger in 49 AD, a Roman Stoic philosopher, to his father-in-law Paulinus. * The Epistulae morales ad Lucilium (English: Moral Epistles to Lucilius / Moral Letters Vol I) by Seneca is a collection of 124 letters which were written by Seneca the Younger at the end of his life. * The Meditations by Marcus Aurelius: The 12 books of the Meditations in Koine Greek as a source for his own guidance and self-improvement. It is possible that large portions of the work were written at Sirmium, where he spent much time planning military campaigns from 170 to 180. * Walden by Henry David Thoreau: First published in 1854, Walden details Thoreau's experiences over the course of two years, two months, and two days in a cabin he built near Walden Pond, amidst woodland owned by his friend and mentor Ralph Waldo Emerson, near Concord, Massachusetts. Thoreau used this time to write his first book. I released and update to the audio book app called "Law of Attraction Master Class" for Android and iPhone. These audio books are the basis for much of the modern thoughts on the Law of Attraction and self-help genre.